African Union unites for long-term strategy on Horn of Africa. The African Union (AU) released a draft document describing their long-term strategy and funding options for addressing food and nutrition crises in the Horn of Africa. The document entitled Way Forward – African Union’s Perspective on a Long-Term Strategy to Addressing Food and Nutrition Crises in Africa puts forth the Comprehensive African Agriculture Development Programme (CAADP) as the crucial pivot point for African states to achieve long-lasting food security. CAADP schemes currently in the works in the Horn of Africa are also highlighted, including Ethiopia’s Policy Investment Framework and Kenya’s Medium Term Investment Plan. 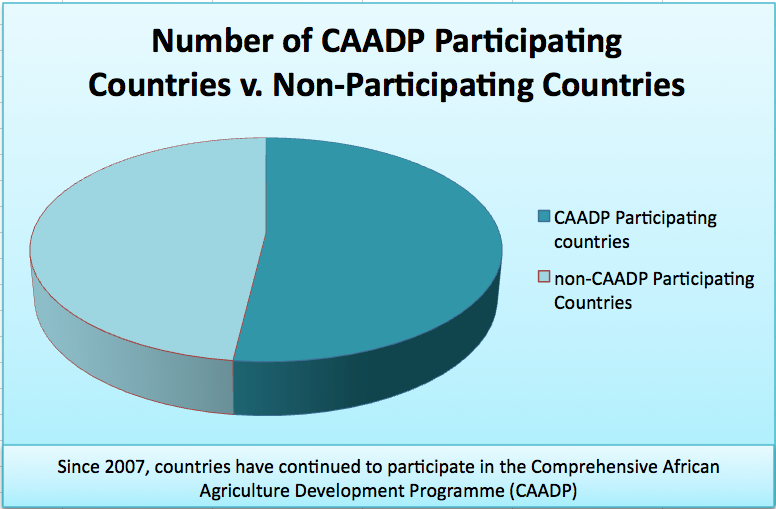 ReSAKSS and other organizations have worked to research the background for these frameworks and plans and will continue to aid in the process for other countries in the Horn of Africa as they make progress toward investing 10% in agriculture to see a 6% growth in annual GDP on investment through the CAADP process. Amidst the great hope of long-term strategy, the AU was also cautious to recognize funding shortages with present Horn of Africa efforts. In a short statement, they recognized that of the funds appealed for to reconcile the crisis, that “out of the US$ 2.4 billion required, only US$ 1.03 billion or 42% of this amount has been funded to date.” The AU has prioritized areas of intervention in order to meet all needs in a step-by-step basis of preventing future crises. The ‘Conference Pledging for Countries of Horn of Africa affected by Drought and Famine‘ was held in Addis Ababa, Ethiopia and commenced the 4th of August, 2011.